ELIZABETH CITY, N.C. –With gas prices changing as much as they do, any help that can save you money on gas is useful. At Perry Auto Group, we want to help you get the best bang for your buck. Take advantage of these 6 easy ways to increase your fuel-efficiency. Not only will these tips save you gas and money, but they’ll also keep your car running better and longer. Make use of your cruise control. Take advantage of your cruise control if you’ll be driving on one road for a while. This is extra useful on the highway since driving over 60-mph burns through more fuel. Cruise control will keep you at a steady speed and will increase your miles per gallon. Check your tire pressure regularly. The recommended time to check your tire pressure is once a month. Use your tire gauge to measure the PSI of each tire. Your vehicle’s suggested PSI can be found on the inside of the driver door. Under-inflated tires will go through more fuel, so keeping them inflated properly will give you more miles to the gallon. Consider your driving style. Are you a more aggressive or passive driver? If you stop short and accelerate quickly, you’re going to burn through a gas tank much quicker. If you accelerate more gradually and brake nice and slow, your vehicle will perform better and go through less fuel. Take a load off. If you have a bunch of unnecessary items in your vehicle, then it might be time for some spring-cleaning. All you need is in your car is the essentials like fluid bottles, emergency kit, and maybe some tools. We suggest checking your trunk for any unused items and then your backseat. Keep in mind that the heavier your car is, the less miles you’re going to get on a tank. Care for your engine. Remember that your engine needs a lot of love. It’s always important to get the routine maintenance your car needs. Oil changes are especially important for your car’s overall performance. 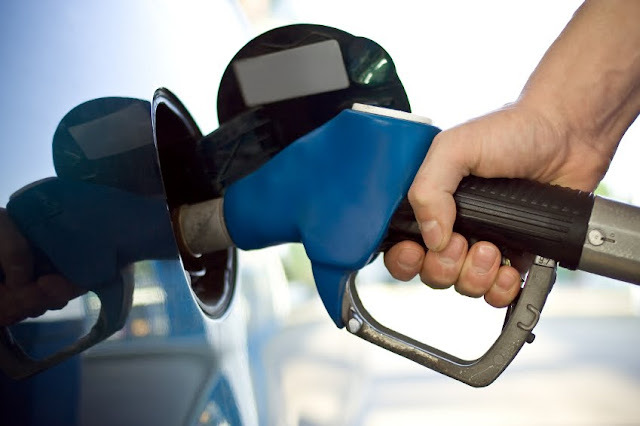 As long as you keep up with your service, your vehicle will get the best possible gas mileage. Run one big errand. If you have a long errand list, try getting them all crossed off in one big trip. Don’t drive a bunch of little small trips. Your small trips will add up on miles and gas cost, making it inconvenient and wasteful on your fuel. These great tips from our service experts at Perry Auto Group will help you save on fuel and money! to learn more about your vehicle visit our new and improved service FAQ page. You cna also schedule a service appointment online today! Looking for a more fuel-efficient ride? We can help your with that too! Check out the 2016 Chevrolet Cruze and take one for a test drive today.